A marketing executive for Yelp died after falling off a Grand Canyon cliff. 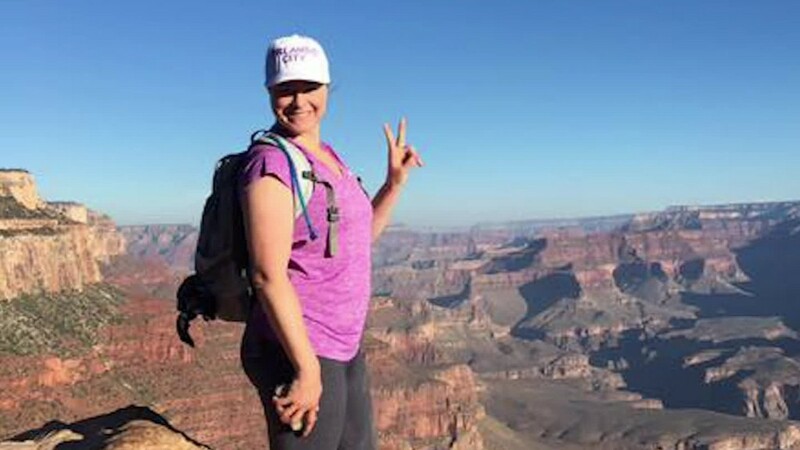 Colleen Burns, 35, was hiking along the trails of the Arizona tourist destination on Friday when friends say she fell about 400 feet. Burns has worked for Yelp (YELP) in a variety of positions since 2009. She was the company's Southeast regional marketing director at the time of her death. The company said in a statement that Burns "launched the Yelp community in Orlando nearly seven years ago" and "her passing represents a tremendous loss to our company, the communities she supported and the many friends she made while doing what she loved." "We are heartbroken but thankful to have been positively shaped by her passion and joy for life," the company said. Jessica Roman, a friend of Burns who was with her at the time of her death, described the incident to Orlando news station WESH on Monday night. "She was stepping out of the way for another gentleman to squeeze in, and unfortunately Colleen just kind of got tripped up on her own feet and fell backward," Roman said. A Yelp forum started in her honor received an outpouring of tributes from users and colleagues who described Burns as "genuine," "exuberant" and a " beautiful soul." "She was one of the coolest people I have ever known. That sounds simple and trite but I mean it on so many levels, personality, looks, style, what she did with her life - I envied her. I was inspired by her. I am better for having known her," one user wrote. Burns was an avid fan and friend of the progressive house DJ known as Kaskade, who paid tribute to Burns on his social media accounts on July 9. Now would be a good time to go hug those people you love. "Colleen showed up in my life before the tidal wave of support had hit. And she always rose to the top of that wave. She had such an unmatched enthusiasm for life; the fire in her eyes and that crazy infections smile," he wrote. "I feel taken apart by the news of Colleen's passing."